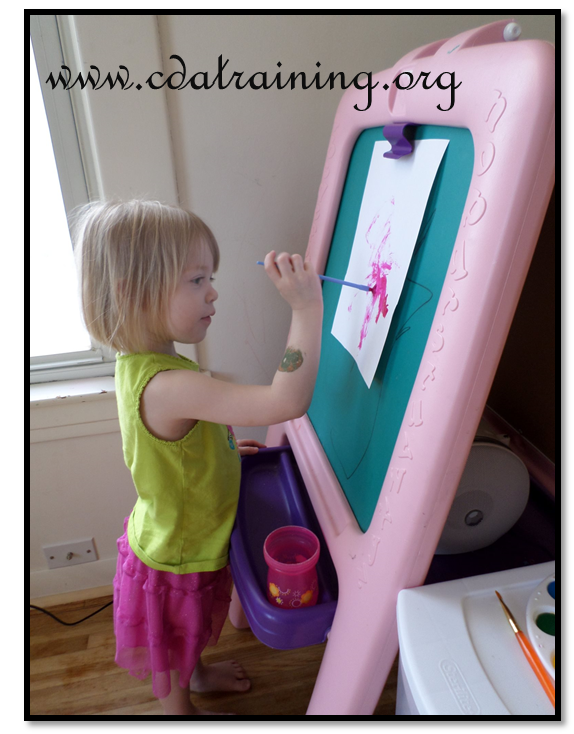 Allow children to decorate two paper plates. 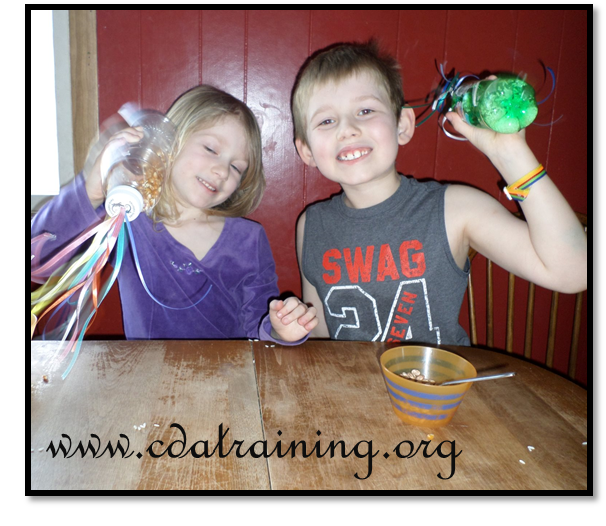 Then help them glue together the paper plates with a popsicle stick handle and beans or beads inside. Once the paper plates have dried, encourage the children to shake them to make musical noise. 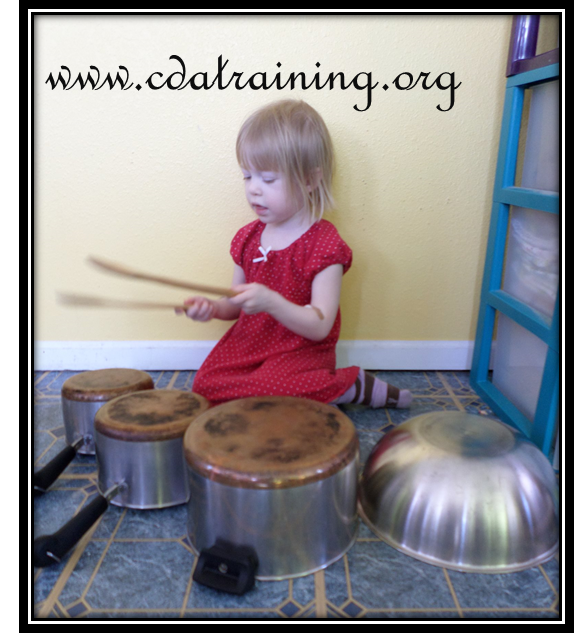 Pots, pans, metal bowls and wooden spoons are perfect for creating music! Directions: Have an adult create a hole in the lid by pressing a screwdriver through the top of the lid. Cut several ribbons about 12 inches in length. Fold ribbons in half and press into hole in the lid going from the top into the bottom of the lid. Tie the ribbon in a tight knot on the inside of the lid. Decorate outside of bottle with stickers. Fill inside of bottle with rice, beans, popcorn kernels, etc. Seal lid and shake!! Try different combinations of grains to get different sounds. *When shaker is complete seal lid with hot glue! 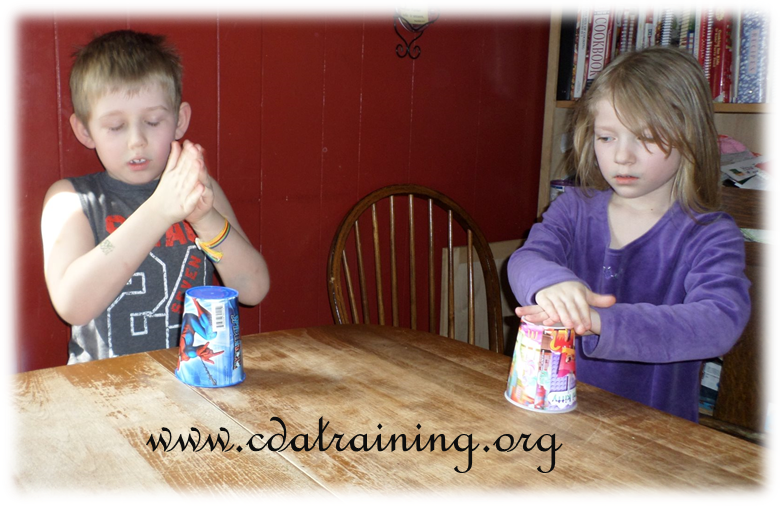 A great way to have fun learning rhythm is to teach children the Cup Game. Each person will need a sturdy plastic or paper cup. Clap, Grab, Hit, Hit, Switch, Slap, Down! Place cup on table or floor directly in front of you upside down. Clap your hands together twice. Then tap the bottom the cup three times alternating hands left, right, left. Clap hands together once. Grab the bottom of the cup with your right hand, lift it up and move it slightly to the right and smack it down. Silent pause. Clap hands together once. Turn your right hand upside down and grasp the cup. Your thumb should be facing down, toward the table. Grab the cup and tap the opening to your left palm. Then hit the bottom edge of the cup against the table. Switch the cup, right side up, to your left hand. Crossing your arm in front of you, slap your right hand on the left side of your table. Slap down the cup in your left hand (upside down again) on the other side of your right hand on the table. 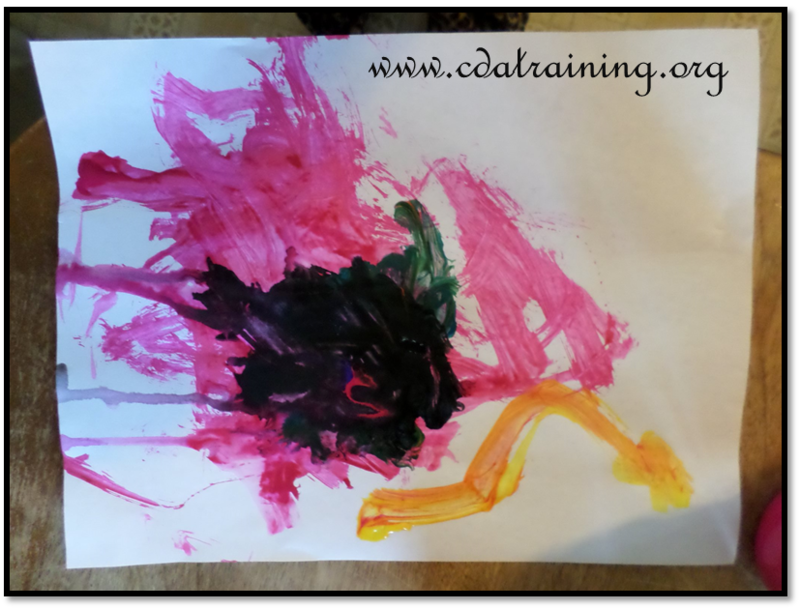 Play various types of music while children paint and create a masterpiece.